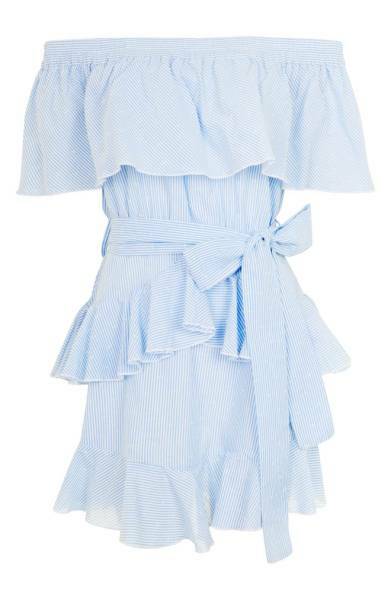 How cute is this Top Shop Bardot ruffled striped dress from Nordstrom? I tried this on and immediately knew I had to have it. 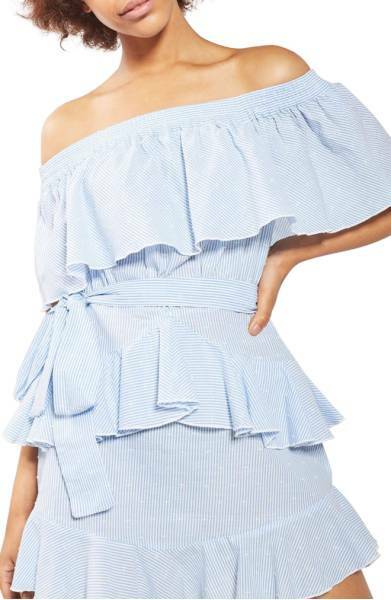 I love off the shoulder looks because they are universally flattering but it has a wrap at the waist and cleverly designed ruffle that hides the mom pooch. Thank you to the man or woman who designed this dress!!!! Well done my friend.